Though the eyes of Marvel fans everywhere are fixed firmly on Spider-Man: Homecoming at the moment, as it’s the studio’s next film to hit theatres, it’s important to remember that we’re now less than a year away from Joe and Anthony Russo’s Avengers: Infinity War. The sure to be epic blockbuster will be here before you know it and with production now well underway, it’s no doubt just a matter of time before we finally – finally! – find out just who will be featured in the movie. We can already confirm that Earth’s Mightiest Heroes, Thanos, the Guardians of the Galaxy, Spider-Man, Doctor Strange and Captain Marvel are all set to show up, with numerous supporting players being thrown into the mix as well. 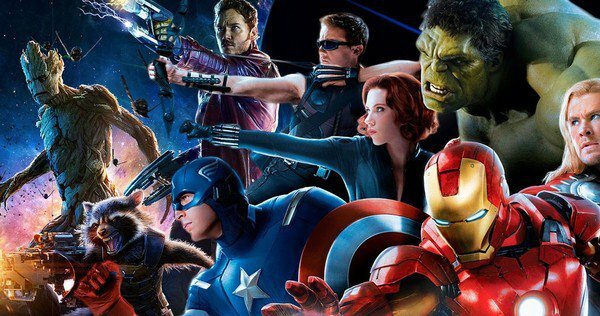 In fact, if the rumors prove to be true, every character in the Marvel Cinematic Universe who still has a pulse will be involved in Infinity War. But what about those heroes and villains that we haven’t met yet? Could the film also introduce us to someone brand new (aside from Carol Danvers)? If Stan Lee is to be believed, then yes, the next Avengers movie will indeed give us a character we haven’t seen on screen yet. The comic book legend dropped that little bombshell while doing a Q&A in Des Moines, Iowa recently. His assistant stopped him before he could reveal anything more, but Lee did note that fans will be pleased when they see who it is. Cue the speculation! Before we proceed, we should note that the character in question here might end up being Captain Marvel, though given that her involvement is basically confirmed at this point, it wouldn’t make sense for Lee to hype her up like that. So, who might Stan the man be talking about then? Well, there’s a few options, with the most obvious probably being Adam Warlock, who was teased at the end of Guardians of the Galaxy Vol. 2. We know that he’s set to factor into the MCU in a big way and given his comic book roots, it’d make perfect sense for him to show up in Infinity War. Then again, both James Gunn and Kevin Feige have already said that Adam will not be in the film, so unless they’re just trying to throw us off the scent, so to speak, that rules him out. And in all likelihood, they’re probably right, as from what we’ve heard, Warlock may actually be introduced in Captain Marvel instead. Who could this mysterious character be then, if not Carol Danvers or Adam Warlock? That’s the million dollar question, and unfortunately, no one’s got a real answer. MODOK has been thrown around, as has Doctor Doom, but that’s all just speculation at the moment. Yes, we know that the rights to the latter lie with 20th Century Fox, but rumor has it that Marvel may be about to get him back. Truthfully, we don’t imagine that’ll happen, but hey, you never know. At this stage, the mysterious character Lee is teasing could be anyone and we probably won’t find out who it is until Avengers: Infinity War bursts into theatres next year. Until that point, however, feel free to throw your theories our way down in the comments section below and let us know who you think we’re going to be introduced to in the film.